Oregon Trail - monemades Webseite! ... and I named the pattern Oregon Trail right away. Maybe the name of the colorway - Cowboy - was the source of inspiration? The Oregon Trail is a historic east-west wagon route in the United States, which led through steppes, deserts and across rivers and mountains and connected the Missouri River to the valleys of Oregon. It took bends and curves to avoid any barriers and to make it accessible for large-wheeled wagons. 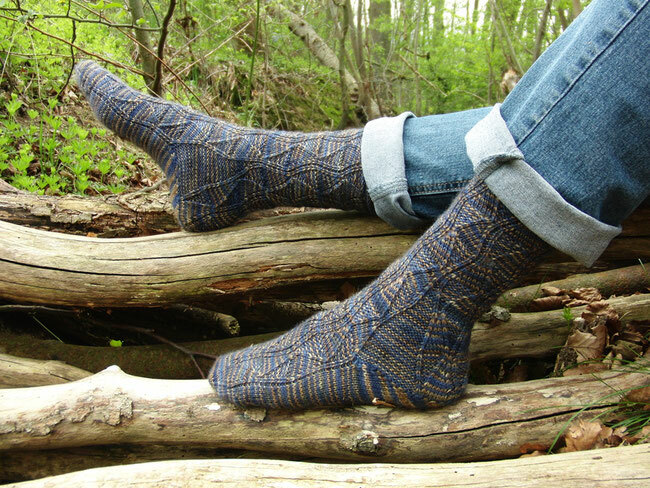 The stich pattern used for these socks, resembles the difficult trail: with small stripes of ribbing - the tracks of the wagon wheels - seemingly meandering between knit valleys and purl mountains. 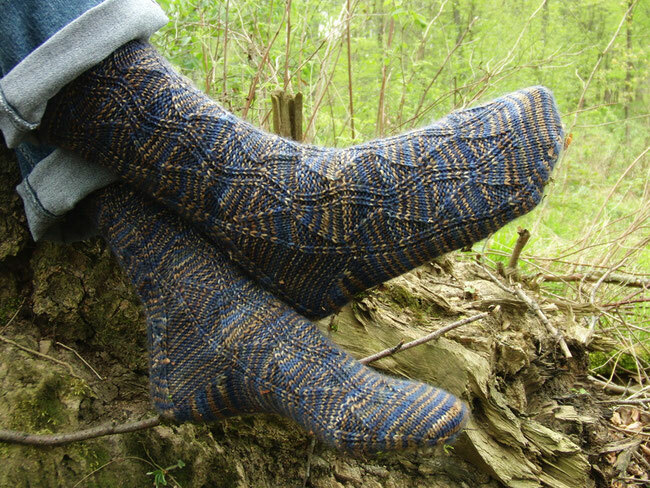 The socks are knitted from the cuff down, with a rolled cuff. Heel flap and gusset are integrated into the leg pattern, i.e. 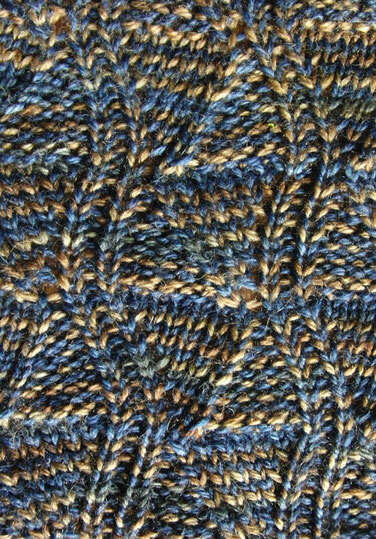 they are formed by he garter stitch triangles you see in the picture above, which are on both sides of the socks. 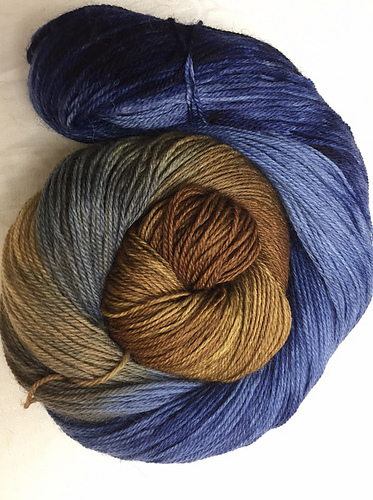 I think the stitch pattern is a perfect match with the yarn and I hope you'll enjoy knitting it.